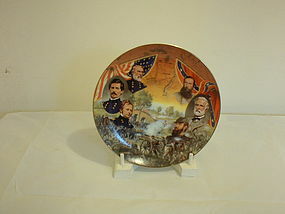 "Antietam" Battles of the American Civil War limited edition plate no. 1084A by Jim Griffin seventh issue in the series. Bradford Exchange. 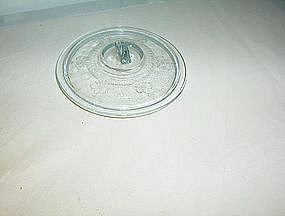 The plate has NOT been used for display and is in original packing. Postage to be determined by zip. 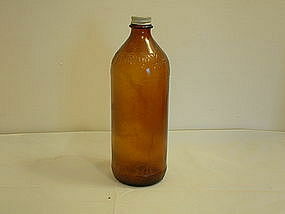 An empty Clorox bottle with cover. 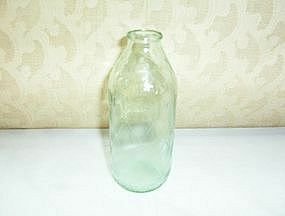 Bottle is in good shape no cracks, chips, nicks does need a cleaning inside to rid the markings that have accumulated in the years. Any questions please call or email. Postage and insurance rates are determined by your own zip code. Thanks. 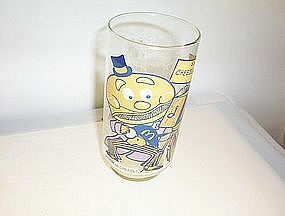 The charming McDonald's MAYOR McCheese glass is available for purchase. 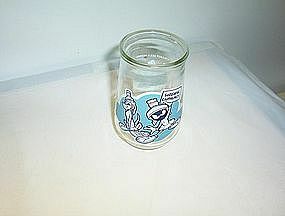 The glass is dated 1977 McDonaldland Action Series. 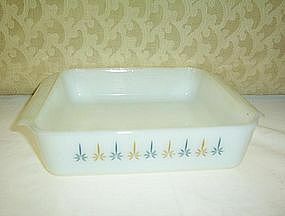 It is being sold AS IS/USED/no chips/cracks/breaks/repairs however does have some fading from being used and washed. Any questions please email me. Will accept money orders and cashier checks. 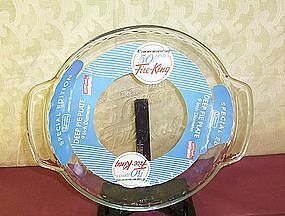 Will also accept personal checks with UP to 10 days to clear. 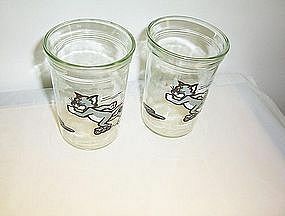 Welech's Looney Tunes Special Edition 6 jelly glass (empty and no cover) is from the 1995 Warner Brothers series. It features the Alien "Surrender Earthlings!" 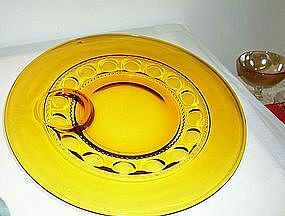 The glass is in good condition and is sold AS IS/USED/No chips/cracks/repairs. Any questions please email. Will accept money orders and cashier checks. Will also accept personal checks with UP to 10 days to clear. 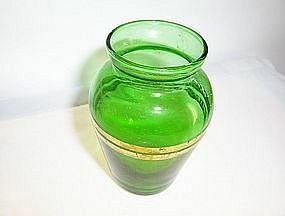 Available for purchase and sold as EACH are two forest green approx 4" tall vase with gold rings around mid-way, The vases are sold separately and SOLD AS IS/USED condition with NO CHIPS/CRACKS/REPAIRS they do show normal age wear from being used/stored/handled. Any questions please email me. Will charge actual postage from 27814 zip to your zip. Will accept money orders and cashier checks. Will also accept personal checks with UP to 10 days to clear. 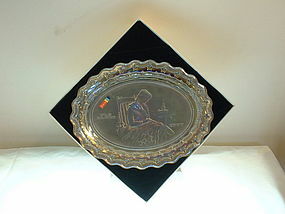 Welch's Jelly glass (empty - NO cover) features Tom on a water ski. 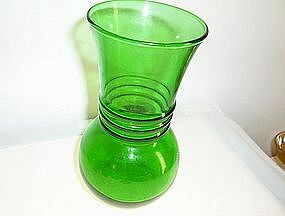 Three of these glasses are available and are being sold EACH. 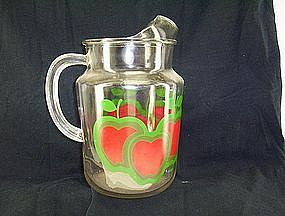 The glass is marked Turner Entertainment Co. 1990. All Rights Reserved. The glasses are in good condition with no chips/cracks/breaks/repairs. Buyer to pay actual postage charges. Will accept money orders and cashier checks. Will also accept personal checks with UP to 10 days to clear. Thanks. 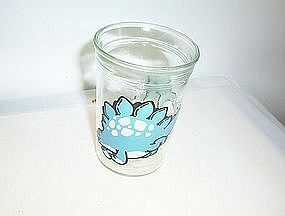 This charmer Stegosaurus Welch's Jelly Glass from 1988 is available for purchase. 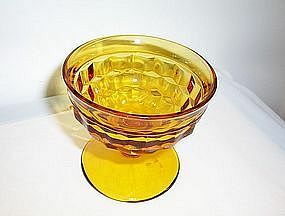 The glass is in good condition no chips/cracks/breaks/repairs. 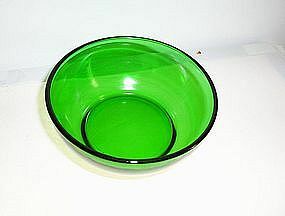 It is being sold WITHOUT the jelly and cover. Any questions please email me. Buyer to pay actual postage charges. Will accept money orders and cashier checks. Will also accept personal checks with UP to 10 days to clear. Thanks for checking out my inventory.